How do we share what we learn (both good and bad) with our teams so they repeat the good, and learn how to overcome the bad? How do we give our employees a voice and engage them in the process of building a high performance team? It is easy to get lost in outcomes, strategic planning and the “overview” of the business and miss the details in the day-today operation that make such a difference in the longevity of the organisation. It is through our people who deal with our products and customers each day that we can drive innovation and sharing of knowledge. 1. What do we do best each day? The point of this question is to discover our best practices – as an organisation and as a team. The answers also are often an indication of the culture of the organisation – What we do every day! Being aware of this can be very helpful when developing and sharing best practices in marketing and recruitment of new employees. When we learn something through success (or failure) we should retain the lesson and share it throughout the entire organisation – so it doesn’t need to be learned again (often at great cost). 2. What prevents us from doing our best? The point of this question is to discover directly from those who deal with processes or customers what is not working. Look carefully for patterns that indicate a need to refine or adjust your strategy. e.g. 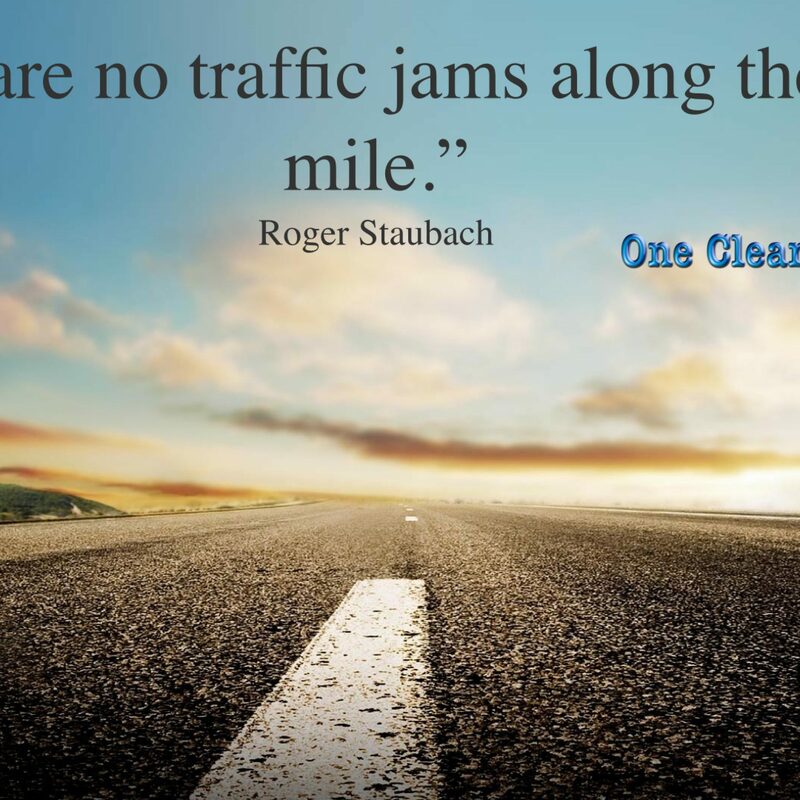 if the length of time that it takes for someone to answer the phone or respond to emails comes up repeatedly, then you have identified an area to improve. Once these patterns are identified we have can seek ideas on how to implement changes to systems, processes and policies to deal with these issues. 3. If you were leading this team what would you do and why? This question has multiple objectives. It gives employees a voice, allowing them to contribute to the success of the team and increases Employee Engagement. It also allows them to explore their leadership and problem solving skills. This question allows for further mentorship and development conversations. It also helps build a “How can we solve this?” mindset, rather than “Tell me what to do!” mindset. Most importantly, since the employee is often closest to the product, service delivery or customer, they are often able to suggest specific opportunities for improvement. 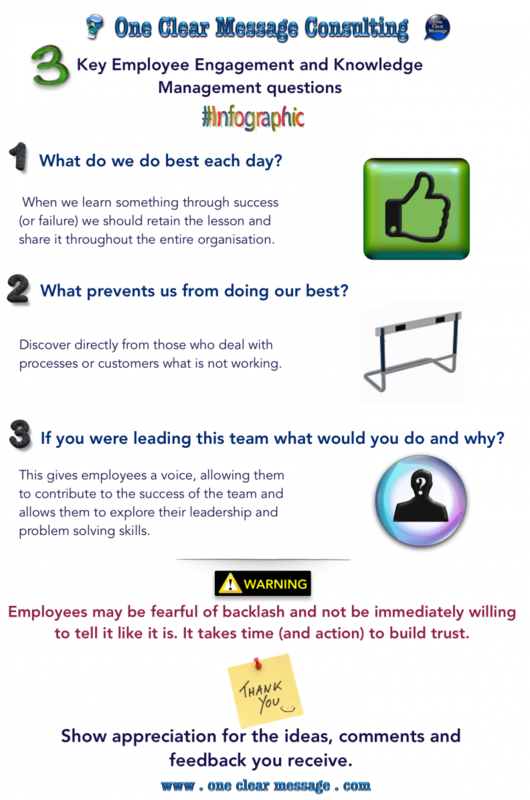 Warning: Employees may be fearful of backlash and not be willing to tell it like it is. It takes time (and action) to build trust. When they see you act on what they say then they develop more comfort in being honest and speaking their minds. Meet in small groups, one-on-one during the process to increase involvement. Each organisation is different and it is important to find the process that works best for yours. NB: Show appreciation for the ideas, comments and feedback you receive. It is normal to disagree with some comments, or try defend some of your processes, but try and keep an open mind. Employee will feel that they are recognised, heard and respected. The conversations are a gateway to mentoring or development conversations. Future leaders can be more readily identified. Employees have a voice and begin to participate in team success. Best practice and lessons from mistakes are shared. Listen to their feedback and take action (selectively), build a supportive environment that promotes creativity and the sharing of ideas. 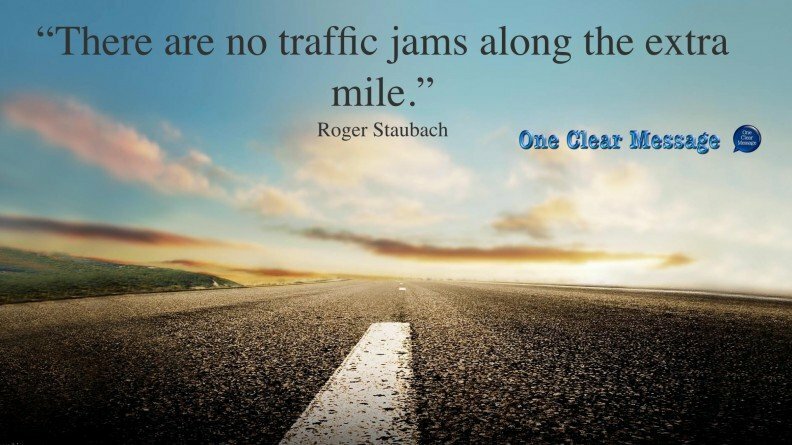 Keep it positive and demonstrate to your employees know that you are receptive to new ideas. You will be amazed at the innovative ideas that can come fro these conversations. 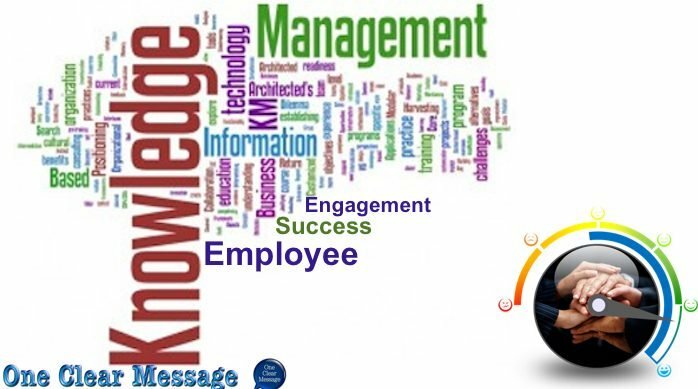 Employee Engagement and Knowledge Management should become a living part of the way you share ideas, successes and build relationships.